Why are areas of the client green? Do you offer Gallon sizes of solution? Where can I find ingredients for the products? How do I use the prep spray and is it the same as another company PH spray? If someone normally sunburns can they spray tan? What products will make the tan last longer? How long until the color develops? What should the client wear to their spray tan session? How should my client prep for their session? Can my client use soap? My client called and said they were streaky or blotchy, what do I do? Do you offer spray tan training courses? Can I use a prep spray or barrier cream with Perfect Glow Sunless? Why are some areas of my client turning green when I am spraying them? How do I use the rapid tan -are there Instructions? What is the shelf life of the solution? How much solution should I use? What is the difference between the regular solution and the rapid tan? What are the different solutions and what should I use on my client? This is a question that I get asked my many airbrush tanners and understandably they are freaking out. No one wants to see green on a client rather than a beautiful bronze. This can happen for a few reasons which I am going to discuss here to make you at ease and help you troubleshoot the issue with these spray tan tips.. The first thing is to remember that you should always store your spray tan solution in a cool, dark place under 75 degrees. Many salons use a refrigerator (especially in the warmer tropical climates) and that is OK as long as the solution does not get frozen. In my experience the client turning green is not the result of bad solution, While of course this can happen common sense will dictate that if a client was sprayed with bad solution their entire body would be green. When spray tanners contact me it is usually only a certain area of the body that looks greenish. Bad solution will not “pick and choose” what areas to turn green while being applied to the skin. Also I always train techs should always spray into a paper towel before starting the application. You want to make sure that the cosmetic bronzer looks good prior to starting an application. Keep in mind that may times you may see a ring of green around the bottle cap or even on the sides of the bottle. This is caused by oxidation, when you take off the cap to pour it gets exposed to air that will cause this effect. Also some techs drip solution down the bottle if they pour fast and forget to wipe it off. This will turn green because it is being exposed to air. This is localized and does not mean the solution has turned. As long as the bronzer looks good w hen spraying in a paper towel rest assured that the solution is good and it is OK to use on a client. So all that being said…then why does this happen? Many times while spraying a client you will notice the armpits turning green. This is the most common area and is a result of them having antiperspirant/deodorant on .The DHA turns it green once it comes in contact and just make sure that you advise the client that it will wash off with their first shower and will not effect the final color of their tan. There are other areas that you can see this with as well and it is a result of the client not properly prepping for their spray tan. Residue on the skin such as sweat, perfumes, lotions and more can turn areas of the body green while spraying them. I recently had a client who didn’t rinse off even the night before and the bottoms of her bum were turning green as I sprayed them, That was due to sweat. So when this happens, again remember as long as its not the entire body and only certain areas this is a result from poor prep. As good measure you should bring it to the clients attention and give a basic explanation as to why it occurred. Also as mentioned earlier, ensure that it will rinse off in the shower and not effect the final color, This will eliminate the chance that the client notices it later and you can help prevent a panicking text or phone call. If you experience this issue when using a self tanning product check the expiration date. However the dha in self tanners can spoil quicker as many people store it in the bathroom and not in a cool area. But if there are only certain areas of your body appearing green it is because you have a barrier on your skin and will come off when you rinse off. Perfect Glow Sunless solution is already PH balanced. Our prep spray is not a PH balancer but was formulated to prime & clean the skin for the sunless tanning application. This is a must have to use on your clientele. Even if clients shower there can still be an invisible film on the skin from soap, shampoo and bath products, These things can create a barrier preventing the sunless tan from developing in certain areas. Using a prep spray on your client before the spray tan application can help ensure that the skin is clean as possible and help prevent developmental issues from the skin not being as clean as possible. How to use? Apply via spray liberally to help clean and prep the skin. Wipe off immediately with a cloth or paper towel prior to the sunless tanning application. FDA recommends the use of protective nose filters, protective eye wear, lip balm and protective undergarments. Your gun might be open too much causing too much solution to hit the skin resulting in beading. Or you might be spraying too slow. First try to close the gun flow a bit. If this does not help spray a little faster. It is highly recommended that you close your gun up a little bit before spraying! If you experience any beading or dipping while spraying the client or it seems extra wet then you need to further adjust your gun setting so the solution flow is reduced. I can not stress this enough! This solution should spray as a fine mist. With the regular developing solution have the customer rinse off in 8-10 hours. DO NOT HAVE THE CLIENT LEAVE THE SOLUTION ON FOR 24 HOURS BEFORE RINSING OFF. Some manufacturers train this way & recommend this with their solution. It is NOT necessary or recommended with Perfect Glow. Our product is stronger and doing so can product unnatural results. You can spray 1 coat or 2 light coats ( depending on how you were trained) but they key is to NOT exceed approx 2 ounces of solutions. If you wind up using 4 oz for example that is way too much solution. When a new salon reports that they got unnatural color the first time they tried Perfect Glow Sunless it was because they did not follow our recommendations did not adjust their gun settings. The technician over saturated the skin because the gun flow was way too strong! When they tested it out again with our recommendations the color was perfect!! This blend is not recommended to be left on for over 4 hours. As mentioned above do NOT leave it on 5-6 hours because that is what you are used to with another companies product! You can risk turning unnatural if you do so. If you have a fair client or are not sure how long to have them leave it on it is recommended that you start at 1 hour and gradually increase at their next session. It is very important that you advise the client that just like with the regular solution, with the rapid tan they are not to get wet or sweat until they rinse as that can adversely affect the tan development. When they rinse it is to be with water only no soap. They are not to use any oils, perfume or lotion until the next day as the tan will continue to develop over the next 24 hours. Please contact us with any questions that you may have & Happy tanning! You can always do a complimentary patch test to see how they will react to the product. Yes! I personally have always burned in the sun and take wonderful to sunless tanning. it is recommended that you spray the client with a light natural looking color. *Please note that the sunless tan does not contain sunscreen and that you can still burn on top of a spray tan so please use sunscreen. We recommend Sunbum or Banana Boat lotion. No sunscreen oils. It is crucial that you educate the client on proper post tan care. They are responsible for doing the right things to get the best results from the spray tan session. They should refrain from bar soaps (especially Dove) and moisturize a minimum of 2x a day and drink a lot of water. Soaps and many body lotions contain SLS and drying alcohols that will strip and fade the tan. Using cheap drugstore products can cause blotching and bad fading. Our GLOWcare 5 step maintenance system are amazing aftercare products that I formulated specifically to work well with the sunless tan. They are organic based and PETA vegan and cruelty free. Rain will ruin a tan. Make sure they bring an umbrella to their session if it is rainy. Massages- Avoid messages in the days after the spray tan session. Pedicures- Avoid after getting your spray tan. (Polish change is ok) but no soaking. When getting out of the shower blot the skin dry, do not rub. Refrain from soaking in baths. Bug sprays can cause the tan to fade. The tan should last anywhere from 4-9+ days. It will depend on the clients hormones, skin PH and how well they follow post tan care. It will also depend on their level of activity ( sports etc) and how well they take care of the tan. The client will see instant color due to the cosmetic bronzer however the actual tan takes 9-12 hours to fully develop. With the regular tan option you cannot sweat or get wet until that time or you risk washing off the spray tan! With the rapid tan option they will rinse in 1-4 hours (determined by the spray tan professional) but full color still takes 9-12 hours to fully develop and color for both will continue to darken over the next 24 hours. It is recommended that they wear a dark colored swimsuit or undergarments. The tanning solution will wash off but in some cases can stain light colored garments. The active ingredient is DHA (dihydroxyacetone) and is approved by the FDA for external use. It is the active ingredient in all self-tanners. Dihydroxyacetone (DHA) is derived from sugar beets or cane sugar and is a key active ingredient for natural self-tanners. The skin-browning effect is the result of a nontoxic chemical reaction between DHA and the amino acids which are part of the keratinous layer of the skin’s surface, much like the browning effect in food caramelization. The resulting color is called melanoidins, similar in color to the melanins our bodies produce naturally when exposed to UV rays. Origin: Dihydroxyacetone (DHA) is obtained by the fermentation of certain sugars, like sugar cane and beet sugars. They should exfoliate 24 hours prior to the session. They should NOT exfoliate the day of as the product can create a skin barrier effecting the outcome of the tan. Exfoliation is important so the skin can be an even canvas and will help the tan last longer. Client should do any shaving or waxing at least 24 hours before the session. If they shave right or wax right before it can leave a barrier & cause streaking & patches on the legs. Pedicures should be done the day before the spray tan session. If it is done right before the massage oils will cause a problem with the tan. If a pedicure is done after the spray tan it will remove the self-tan from the feet and the massage oil can cause the color to streak. Polish change only is OK as long as no lotion or oil is used. Client should not apply any perfumes, oils or lotions or deodorant to their skin the day of the tan as it can cause developmental issues. Client should never shower right before the session. They may think that “clean skin” is good but many soaps, hair conditioners and shower products will leave an invisible film on the skin. This can cause the spray tan to develop patchy or streaky. Showering right before the session will hydrate the skin which means that all of the spray tan solution will not be absorbed. This will result in a lighter color on the client. Advise your client to also refrain from any exfoliating soaps or body washes. Have them just use a gentle body gel made for spray tanning or free of SLS and alcohols. I only recommend mixing Perfect Glow Sunless. I do not recommend mixing with any other brand of solution. Experience has proven that most people will call with concerns prior to rinsing off. As the professional always ask first if they have showered. If they have not, 99% of the time it remedy’s itself once they rinse. If they tell you they have already rinsed off they probably did not do it long enough and there is still bronzer sticking to them. So advise to do another rinse and that usually solves this issue. If they complain that their legs are streaky ask if they had shaved prior to the session as that is usually the main thing that will cause this ( That’s why its a big no-no to do that and it is important to make sure the clients properly preps and you use a prep spray just in case) it can also be a result of them using bar soaps containing SLS. Body gel made for sunless tanning is always recommended. The skin sometimes can be tricky. The simple answer is that most of the time it is from hormonal issues or stress. Many women will experience a very light tan or even not pull any color when they are on their menstrual cycle or very stressed. Also another reason could be that they have not prepped their skin properly. Many clients think that they should shower right before their session, which I do not recommend. That is because their skin is getting hydrated absorbing all the water. That can cause the spray tan solution to not fully absorb resulting in a lighter tan and even beading. Yes we do! 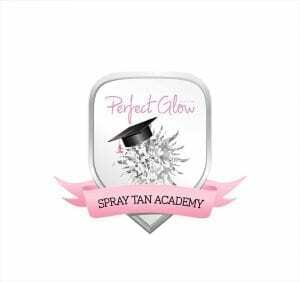 We have a 5 star rated Spray tan Academy with various training options available. Spray tan training is very important. If you are struggling with basic questions as well we recommend our training. You will receive tracking info once your order is shipped. Please check your spam folder. Orders will not be shipped on Fridays in the summer to avoid sitting in a hot warehouse. If you need overnight shipping please contact us to make arrangements. Do not panic and read the following: Armpits will turn green if you spray the client and they have deodorant on. Also if the skin has any sweat or product residue ( from the shower for example) Those areas will tun green as well when they come in contact with the spray tan solution. Explain to your client that this is temporary and the green will go away when they rinse off. If the solution was spoiled the entire body would be green (common sense would dictate that it would not pick or choose areas to discolor so please keep that in mind) Also you can spray some solution in a paper towel before you apply to test. If it sprays brown that is clear indication that the solution is good and that the client did not prep properly! I always recommend using our prep spray on the client before the spray tan application to help ensure a clean canvas. If you have a fair skinned client or are not sure how long they should leave it on for, it is recommended that you start at 1 hour and gradually increase the time as the next session. You must advise the client that just like with the regular solution they can not sweat or get wet until the rinse off as that can affect the tan development. They must do a water rinse only. No soaps or body wash.
Do not apply any oils, lotions, perfumes to the skin after the first rinse. That is because the tan will still continue to develop over the next 12 hours. They can use lotion the next day. *Always advise the client that with the rapid product it is normal to not see much color or any at all after the initial rinse! This is normal as the tan is still developing and not to panic. They will see color as time progresses. They are just getting the convenience of being able to rinse off in a quicker amount of time but the tan will still take the normal time to develop. Our solutions are Paraben free. Unopened shelf life is approx 8 months if stored in a cool area. Perfect Glow Sunless is a water based solution. It is thinner that other solutions on the market without thickening agents that can clog your gun. It is recommended that no more than 2-3 ounces (max) be used on an average size client. If you experience any dripping, beading or a very wet application while spraying then that means your gun setting is open too high. You will need to close up the gun flow a little bit. The regular solution is designed to be left on the skin for at least 8-10 hours to develop before rinsing off. The rapid tan is an accelerated formulation that will allow the client to rinse off in 1-4 hours depending on the darkness wanting to be achieved. There are 5 solutions & here are basic descriptions Please also review the product description for each product on the store as it will explain the color and bronzing. These are my general recommendations but I always suggest trying samples to see what you personally like best. Cocoa Beach- This is an 8 hour tan and available in 3 DHA strengths- 8%, 10% and 12%. This blend has a traditional bronzer and is a beautiful caramel/golden brown color. It is universal and good for all skin tones, especially those with heavy pink/red undertones. Dark Chocolate– This is an 8 hour tan and available in 3 DHA strengths- 8%, 10% and 12%. This blend is a violet based /brown tan with a touch of red. Dark Chocolate is a true brown color and is recommended for olive/darker tones, yellow undertones or on clients that have a base tan. Rapid Tan– This rapid tan is a triple bronzing violet based/brown tan with a touch of red. This color is a true brown color and is recommended for olive/darker tones. Also recommended for clients with yellow undertones. Rapid Cocktail- This Perfect Glow exclusive is a multi tone color and is universal for ALL skin tones for a beautiful brown tan. This unique gorgeous proprietary color is a 50/50 mix of the Rapid and Cocoa Rapid! The blends are such beautiful colors on their own but now you get the best of both worlds by having them combined in this exclusive bronzing cocktail! Extremely fair tones. Will either have a pink/red undertone or very white cool tone. This skin tone can never tan in the sun and will always burn and peel. Be very careful & cautious with these clients if it is your first time spraying them. They can turn unnatural very easily with too high of a % . Better to start lighter and then gradually increase color with future sessions. Cocoa Rapid or Rapid Cocktail- Leave on 1-1.5 hours depending on the client. Pale tone that easily burns.Tans with difficulty and takes a long time to develop a base tan. 3 hours max only if you have sprayed them before and 2 hours did not look unnatural. Dark Chocolate 8% or 10% or 12% for darkest (Best on olive/darker skin tones. Any dha percentage of Cocoa Beach or Dark Chocolate depending on the level of tan they are looking to achieve and Rapid,Cocoa rapid or Rapid Cocktail for up to 4 hours for maximum darkness. **If you have a client with yellow undertones I always recommend using the Original Rapid or Dark Chocolate violet based solution. If your client has a lot of pink/red undertones I always recommend using the Cocoa Rapid or Cocoa Beach solution. There are no refunds on spray tan solution or self tanning / aftercare products. Please make sure that you thoroughly,y review your order before completing your purchase. If you have any product questions please contact us before purchasing. Solution samples are available for purchase to allow you to try before buying a larger size. if there is a product or shipping defect please email Info@perfectglowsunless.com for further instructions.